Some 3,177 bridges in the worst condition have been categorised as 'substandard', meaning they are unable to carry the heaviest vehicles. West Lothian Council has been called to account after reports that too many broken ‘keep left’ signs are littering too many roads. It is alleged that drivers are swerving to avoid the objects, which often lie near roundabouts, potentially sparking an accident. Motorist Clark Cross has counted four near his home on Springfield Road plus Blackness Road and around Winchburgh. Mr Cross said: “Everyone talks about the potholes in our roads and the general neglect happening due to the cutting of local authority funding but this is even more dangerous. “They are not lit so people have either hit them or swerve thus creating a potential accident. 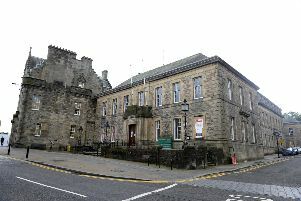 However, a West Lothian Council spokesman said that budget cuts were not responsible.